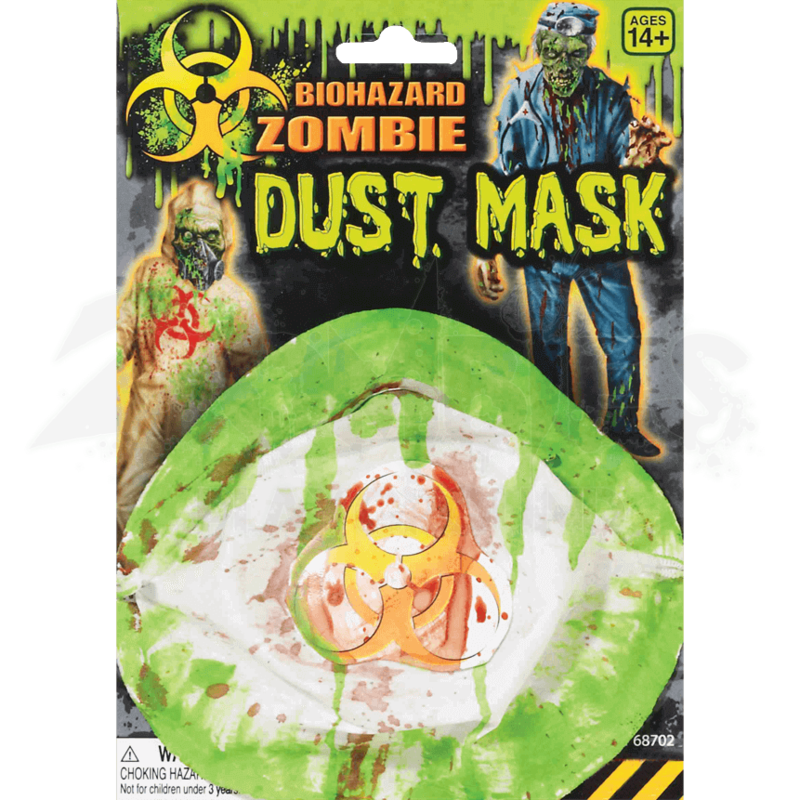 This Biohazard Zombie Dust Mask might seem oxymoronic, although any zombies who find themselves wearing it will not mind a bit. This accessory looks like a classic dust mask, only it is covered in radioactive waste. Like a classic dust mask, this item consists of a cloth mask that is designed to cover the face, particularly the mouth and nose, in order to protect the wearer from airborne particulates. Unlike a traditional dust mask, this item features a bright yellow biohazard symbol its front, as well as a few small red blood stains as well as a larger amount of bright green radioactive stains. This mask features a small strap that wraps around the mask, allowing it to be worn easily and comfortably for quite some time. 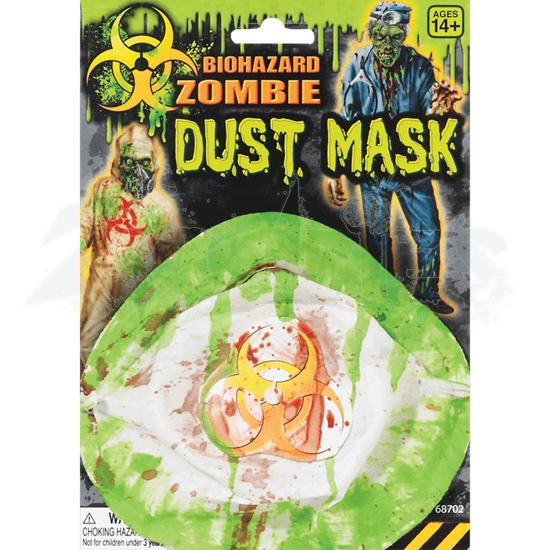 Of course, humans are more than welcome to wear this Biohazard Zombie Dust Mask as well, although given how contaminated this mask looks, a human likely would not survive the exposure for very long. That makes this mask the perfect accessory to complete a variety of toxic and contaminated zombie looks.